In the real world, electrons don’t exist independently of everything around them and behave exactly how we expect them to. They interact with other particles and among different properties within themselves. The interaction between a particle’s spin (an intrinsic property) and momentum (an extrinsic property) is known as spin-orbit coupling. At this point, the atoms become a BEC: the coldest and most mysterious of the five states of matter. As atoms get colder, they start to display wave-like properties. In this quantum state, they have an identity crisis; they overlap with one another and stop behaving like individuals. 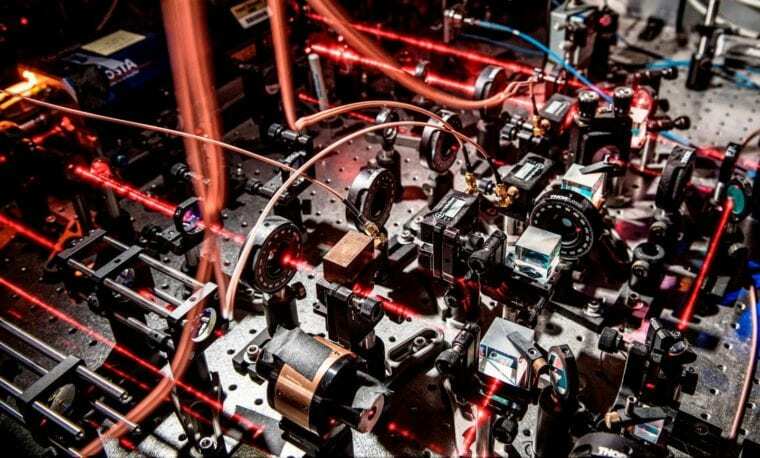 Although BEC isn’t technically a gas, this might be the easiest way to picture it – physicists casually refer to it as quantum fluid or quantum gas.